It is amazing to see God grab the heart of the a student making them want nothing more than to be used by God. I have been praying with one of the students I meet with on a regular basis 1) that he would learn to make himself to be available to be used by God in any way at any time, even if it means doing a little less school work (a hard proposition for many Stanford students and something he wanted prayer for) and 2) that God would particularly use him to reach his roommates. 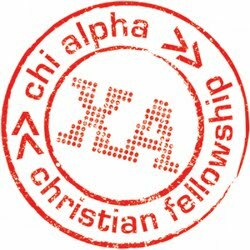 As we've met together this student has seemed to share a new story each week of how God has used him at his church, with other Chi Alpha students, and with his roommates. Two weeks ago he shared that he had a lot of homework on a Saturday night that he didn't want to do on Sunday which he sets aside for his Sabbath. He felt like God was leading him to talk to one of his roommates that he perceives as far from God. God totally blessed the long, late night conversation and they even talked about Jesus some. He then got a great grade on the assignment he had put off even though he didn't put as much into it as he'd planned. Last night at Chi Alpha, after our continuing to pray for his roommate and some more conversations, that roommate came to our gathering for the first time! I got to talk to him a little bit and heard him say at one point to the student I disciple, "This place is really cool, I see why you hang out with these people so much. Maybe I'll hang around more too." I believe it won't be long before this student gives himself fully to following Jesus. Students at Stanford want to be used by God. Pray with me that he'll continue to give them passion and boldness to have God conversations with their friends. The fruit is ripe for the harvest.